If you want to meet a fairy, head to ‘Renfair’. As you may or may not have known, the family and I went to Bristol Renaissance Faire this summer. Luna was very excited to meet the fairies. They’re a troop of actors called the Fantastikals that populate a wooded area of the faire. 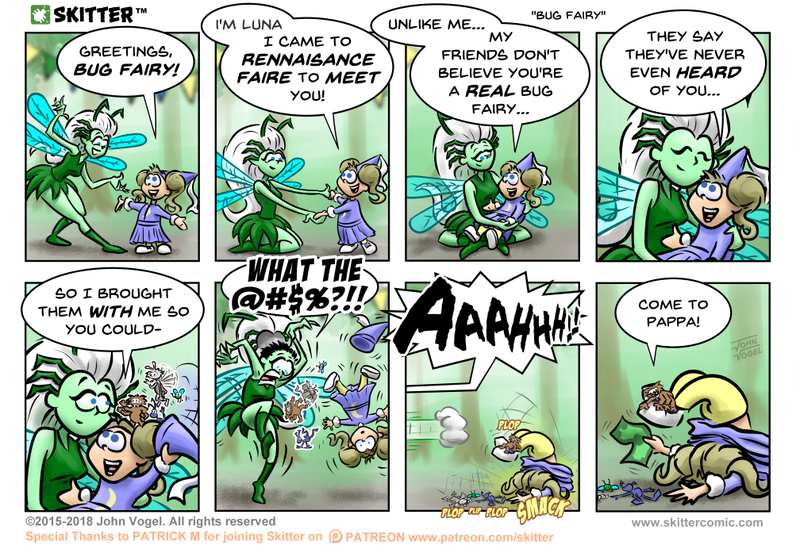 Of course, Luna dressed in a ‘fairy princess’ costume to impress them. The first Fantastikal she met was awesome. In general, Luna is pretty rowdy, so you’d expect her to be kind of obnoxious. In contrast, the fairy mesmerized Luna like a child whisperer. Most notable was the part where she put tiny sticks and stones on Luna’s person. There was something amazingly therapeutic about that and I can’t quite put my finger on why. I'm Luna! I came to renaissance faire to meet you!